I was formally introduced to 3d printing by the Glasgow Open Source Hardware Group, who were nearing the completion of their Mendel Prusa 3d printer when I joined. From the moment we got the Prusa printing parts out I’ve been hooked. 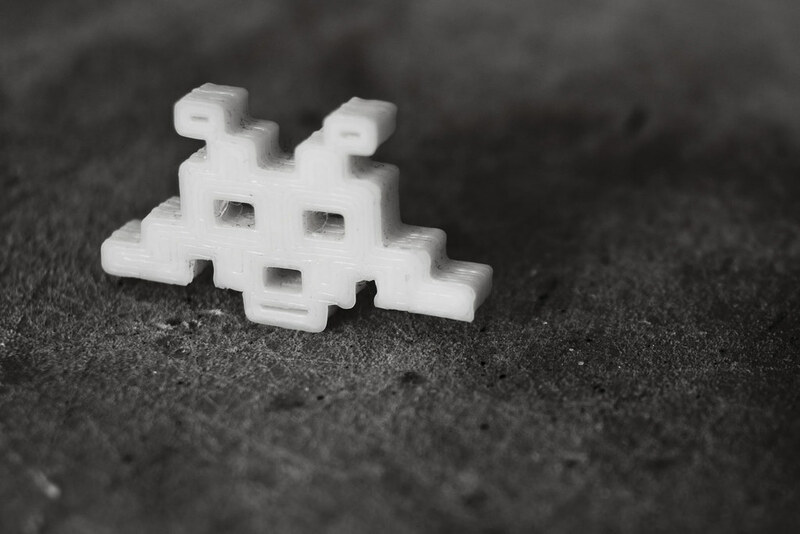 One of the first prints we produced on Glasgow Open Source Hardware Group’s Mendel Prusa, a Space Invaders Model downloaded from Thingiverse.